Some top-class writing is on display from Katya Mills. She picks up the story of Ame, and introduces a new character with Kell, a young woman raised on the Texas border and forced to flee to Oakland. The similarities between Ame and Kell do not end at exile to a new life. Kell acts as both a mirror and new set of eyes for Ame. 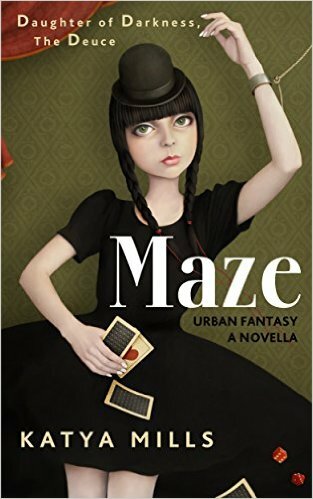 Meanwhile, we also hear about Maze’s story. Ame’s bad-boy skater dude love interest has a lot going on beneath the surface, and it’s not all good. Indeed, there’s lots of subtle interactivity in the various relationships we’ve been introduced to over the two-book series. There’s a cliffhanger in this too – but as a standalone slice-of-life involving supernatural beings, this is some great and unique stuff. This entry was posted in book reviews, Uncategorized and tagged author, book review, books, fiction, heroine, indie, katya mills, maze, review. Bookmark the permalink.